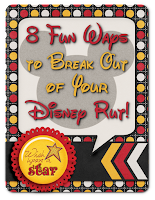 Disney Donna Kay: 8 Fun Ways to Break Out of Your Disney Rut! 8 Fun Ways to Break Out of Your Disney Rut! What is your favorite resort? What is your favorite Disney show? What is your favorite way to spend a snack credit? I got a lot of great responses – and no two were exactly the same. I had answers including value, moderate and deluxe resorts; several different kinds of cuisine; snacks I have never tried and shows I really need to check out! I am actually going to use this information to help me break out of my Disney Rut on our anniversary trip (I will also be using the answers in another post so be watching). We are trying new restaurants throughout our stay, adding new attractions to our FastPass+ list, now shows to our itinerary and even including a Disney tour this time, I think Marceline to the Magic Kingdom – still deciding. This is just one way of shaking up a Disney vacation, I wanted to offer you a few more. Make a list of all of the Disney attractions, restaurants and resorts - check off the ones you have already experienced and do at least 5 new ones on your next vacation. Now you have your very own Disney Bucket List! Are you an early bird and always at rope drop? Change it up and go into the parks a little later in the day and stay until they close (the Kiss Goodnight is a wonderful experience at Magic Kingdom)! Same for those who are night owls, check out rope drop for a great new experience! Go during a special event – The Epcot Food and Wine Festival is a favorite of my friend Did or DIStherapy (Open yourself up to trying new foods at the kiosks you may find a new favorite! ), Mickey’s Not So Scary Halloween Party or Very Merry Christmas Party, participate in a runDisney event (if I can do a 5k anyone can). Let your children plan your itinerary for one day. They may surprise you with their choices, and I can promise it won’t be what you were expecting. You may have to make a small change here or there due to time constraints or budget but they will love helping you plan and you may just find that it’s the most fun day of your vacation! Use a Disney Authorized Vacation Planner (like Guru Travel – donnakay@thewdwguru.com) and let them offer suggestions. It doesn’t cost you anything, and we go through special training in order to earn the responsiblity of booking Disney vacations. Disney is our passion and we can plan an itinerary based on what you already love but still shake things up a bit for you. Leave the kids and take an adults only Disney trip – whether it’s a romantic getaway with your significant other or girls trip just do it!! 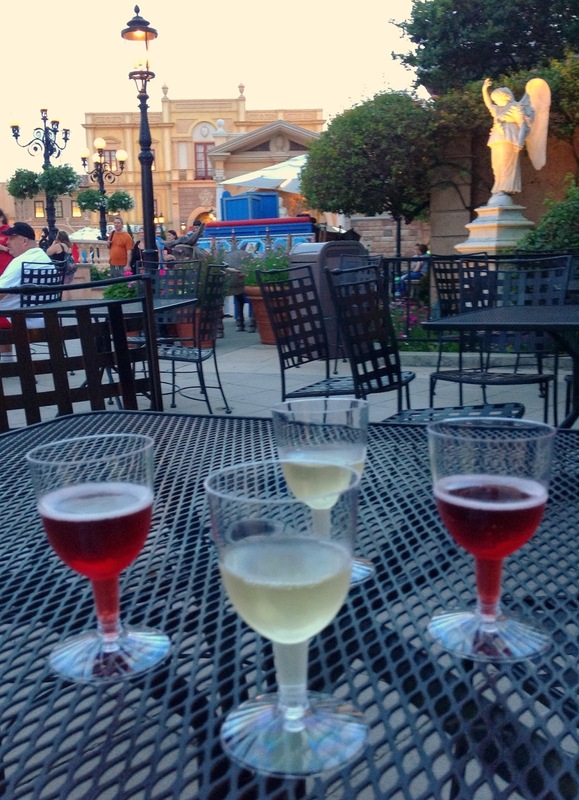 Sample different wines in Epcot or check out the lounges in Downtown Disney. Maybe a spa day for the girls or a round or two of golf for the guys. Spend a day ride free. Watch shows, people watch, take the time to really look at the details like the windows on Main Street or see how many Hidden Mickey’s you can find or Pressed Pennies you can make in a day. How about taking a tour of the resorts? They are all so beautifully themed! You may find a new one you would like to try on your next visit. 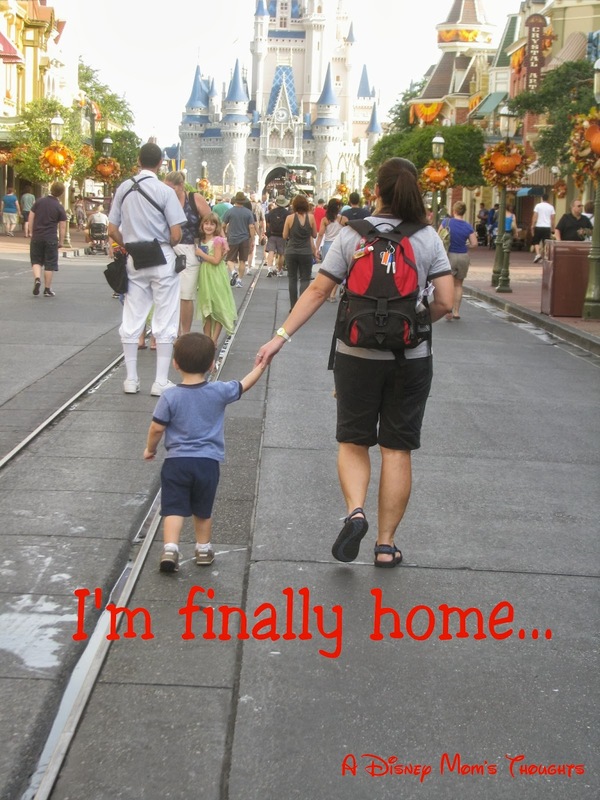 Take your children on a Disney vacation individually. Plan a special vacation to take with each of your children alone and focus on the things they like. My friend Beth (A Disney Moms Thoughts) just took a vacation with her son who loves Star Wars, they had a great time at Star Wars Weekends by the way. While she hated leaving her husband and other two boys at home it was great bonding time with Cman (and her Mom joined in for the fun too). The memories you make will be priceless and will last a lifetime. What do you think? Would you try any of these ideas to shake up your Disney vacation and get out of your Disney Rut? Have any other ideas? I would love to hear them! Share them in the comments below or on my WDW Guru Donna Kay Facebook page. These are spot on Donna! I can see a family "Bucket List Making" night or two would make vacation planning even more magical!! I will definitely be marking some things off my Disney Bucket List this year - MNNSHP, Candlelight Processional, 7 Dwarfs Mine Train for sure!